The instrument will allow us to see how fast the surface of a laptop will heat up over time when subjected to high processing loads with a precision of one-tenth of a degree Celsius. The data would supplement our existing temperature map readings from the FLIR One IR camera. In our never-ending goal to provide the most thorough measurements and reviews on the latest laptops, we are constantly on the lookout for new instrumentation to produce valuable new data for our readers. Overlooked characteristics like display response times and pulse-width modulation are not often advertised by OEMs, but they are nonetheless important for many enthusiasts before committing to a purchase. 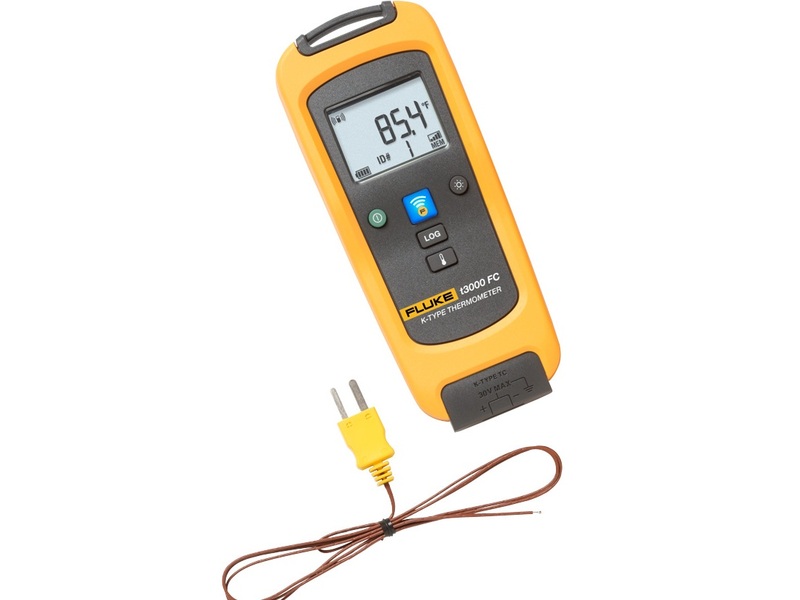 For 2019, we'll be introducing the Fluke K-type thermocouple probe to our already lengthy reviews. The thermocouple will be attached to a t3000 FC multimeter which can in turn connect to an Android or iOS device for data collection. When compared to IR thermometers like the Fluke 62, thermocouples are notable for their higher precision and resolution. Our intention is to place the probe on a hotspot surface of a laptop and then record the temperature changes over time when the system is subjected to high processing stress. By doing so, we can graph and observe how slowly or quickly the surface warms up when gaming. Currently, we only provide absolute temperature readings when the laptop is idling or under high stress, but the new thermocouple will allow us to see temperature behavior in between these two extremes. Ultimately, we will be able to directly compare how fast the surfaces of different laptops heat up over the same time period.